When life doesn’t go as planned…Make new plans! When a devastating event takes away the way of life you are accustomed to, you have two choices: Stop living or Start Planning! Shawn’s entire life has been a series of ups and downs, culminating in signs and symptoms of an impending rare medical diagnosis. In his story, meant not as a pity party, but as a chance to inspire and motivate others to overcome, Shawn describes how he has learned to face adversity with his chin up by taking a comedic view of his malady and life. Shawn’s story inspires and motivates others to overcome. He has shaped his life goal around making the best out of bad situations. From a dysfunctional childhood through a disabling illness that has left him mostly blind and deaf, he never gave up. He discovered new ways to fuel the passions in his life and share them with others. 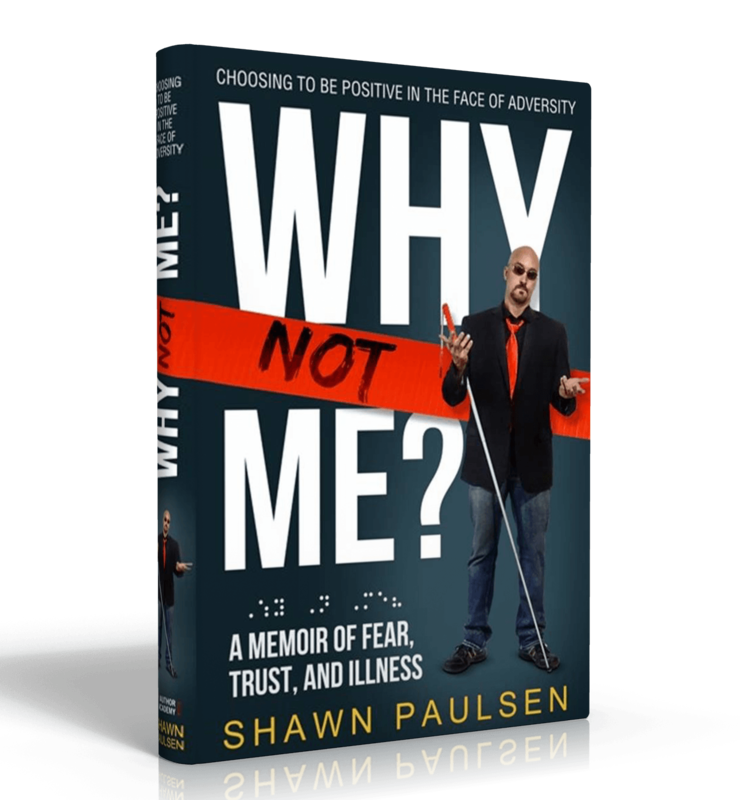 Shawn Paulsen is a writer, coach and entertainer, he has been entertaining and motivating audiences all across the country for over 15 years. As a comedic hypnotist, Shawn has performed in some of the most prestigious clubs and venues across the country, as well as working with some of the top name comedians in the business. 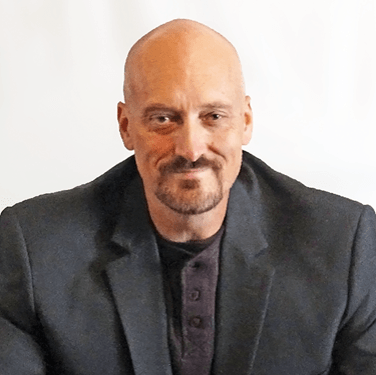 Shawn earned his doctorate and started a successful therapy and life coaching business where he was committed to helping others reach their full potential. Shawn is also an educator, teaching from elementary through college level classes. With the realization that we only get one chance at this life; Shawn is determined to inspire and motivate others to overcome, and live for every moment. His hope is to show how one person’s stumbling blocks can be turned into stepping stones. He is the host of his own YouTube channel Riding the Braille Trail where he vlogs his greatest triumphs. He and his wife Cindee are blessed with two children, six grandchildren, and two great-grandchildren, who are the passion of his life.